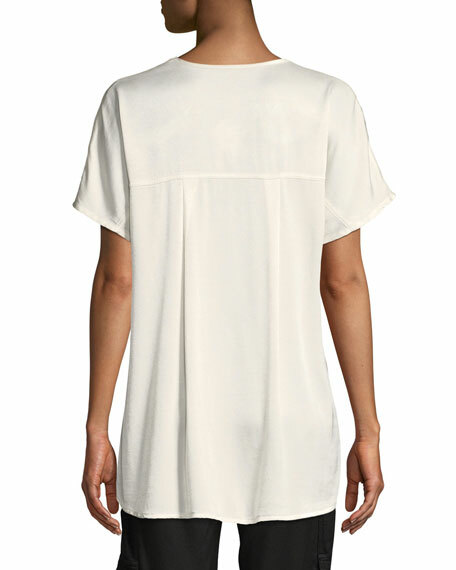 XCVI "Milani" boxy top in luxe paneled satin. Approx. length: 26"L from shoulder to hem; 28"L down center back. Back yoke with wide inverted center pleat. For in-store inquiries, use sku #2640047.